For detailed information on traveling into Canada, visit CBSA's Know Before You Go. What I.D. 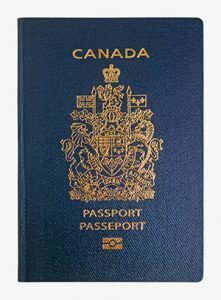 is required when traveling across a land border to the U.S. or Canada? The Western Hemisphere Travel Initiative (WHTI) is a U.S. law that requires all travelers, including U.S. and Canadian citizens, to present a valid passport or other approved secure document when entering the United States from within the western hemisphere. Click here for a list of WHTI compliant documents and additional information. an enhanced driver's licence (EDL) or enhanced identification card (EIC) from a province where a U.S.-approved EDL/EIC program has been implemented. Not all provinces or states issue EDLs yet. Check here to see if your province offers EDLs.